Town officials on Tuesday approved contracts totaling $23,900 for a Bridgeport-based engineering firm to design three short sidewalks near Mead Park that are expected to bolster pedestrian safety. The Board of Selectmen at its regular meeting approved the funds 3-0 for three contracts with Cabezas-DeAngelis Engineers. The work includes mostly surveying work for sidewalks that will complete the final several feet of a sidewalk at Mead Street near Park Street, completing the sidewalk on the south side of Richmond Hill Road so that it goes to Park Street, and completing the sidewalk on the east side of Grove Street so that it runs all the way to Richmond Hill Road, Department of Public Works Director Michael Pastore said at the meeting, held in a Town Hall board room. Construction for the three sidewalks would cost about $75,000, Pastore said. 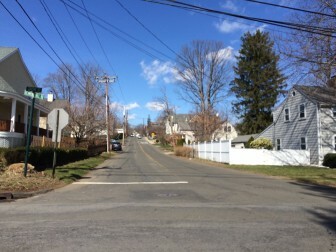 The Plan of Conservation and Development calls for the town to pursue creation of sidewalks that connect New Canaanites to the downtown and surrounding areas, including parks. 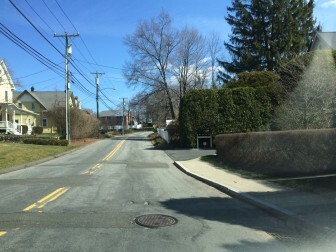 The selectmen at the meeting asked whether the money for constructing the sidewalks is available (yes, it’s in place come July 1) and whether the Grove Street project will complete a sidewalk that runs part way down from Pine toward the park (yes).